Valentine's Day just ain't the same without heart filled Valentines! And of course, we all know that paper is the perfect material for making them since you can use all kinds of colors and cut into awesome shapes! Check out this awesome and COMPLETELY FREE ebook that includes 12 FREE Valentine's Day Crafts and Ideas! From handmade cards to free printable Valentine's, these tutorials will guarantee that your cards will be unique and fabulous. You now have no reason to buy those little foil Valentines from your local convenience store when you can make gorgeous handmade beauties instead! From embroidery tutorials to cards made with Washi tape and paint, you won't believe the paper crafting possibilities associated with Valentine's Day. 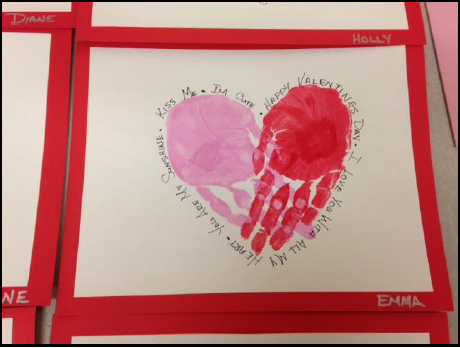 Plus, as an added bonus we have some additional Valentine's Day crafts that you can make. Decorate your home, make lovely origami projects, and prepare for the holiday of love with these fabulous Valentine paper crafts! Check out these Embroidered with Love Valentines (pg. 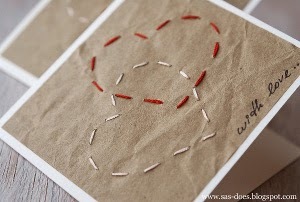 5): These gorgeous Valentines combine the simple look of brown craft paper with a pop of pink and red. Stitch the simplest pattern you will ever embroider and admire your handiwork on the finished cards. The Oh My! It's Twins Giveaway Event!